Pari Fermier has been around for 20 years now. It has never departed from its criteria of organization or selection of participants, hence its success. 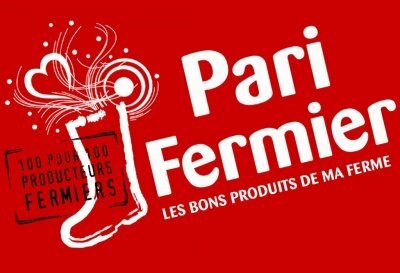 In addition, the Pari Fermier organization in Rambouillet, Pari Fermier in Lyon (which is restarting in the Raspail square in November), the Pari Fermier de Printemps Show, the Pari Fermier in Vanves, the Farmer Village of Levallois, Pari Fermier in Bercy and the brand new Farmer's Market rue St Charles. They are therefore perfectly familiar with the trades of the participants. They produce, process and market their products directly. the best quality of communication with visitors. to maintain balance and diversity at events. The conviviality is at the rendezvous both between exhibitors and visitors, and between exhibitors themselves.